Everything is clearer now. 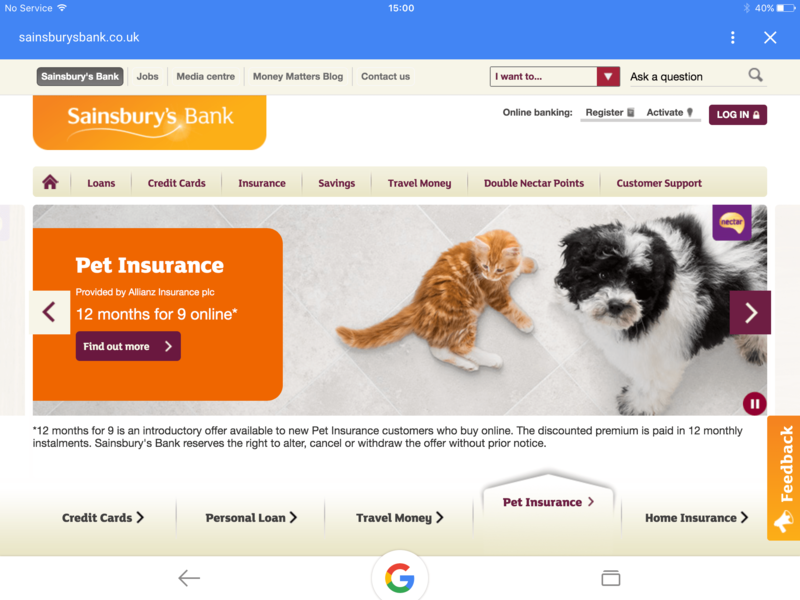 The other day I was on the Sainsbury’s site and there, so I thought, was my boy Tony advertising pet insurance. Some time ago, it must be said. Before he reached his current petite but splendid maturity. Then I looked again and I realised: that’s not Tony! That’s his Mum, Crunchie! You’ve seen Crunchie before on this blog, sitting in Margaret’s suitcase. We thought she was just joking, taunting us. Why on earth would she have any real plans to depart her luxurious Greenwich home? But now I’m really getting worried. Crunchie started the whole thing off. She taught her sons, my Terry and Tony, how to sneak out and earn cash for their running away fund. Perhaps they plan to run away together, the generations reunited! I’d like to say I’m surprised, but … Crunchie: you are grounded!